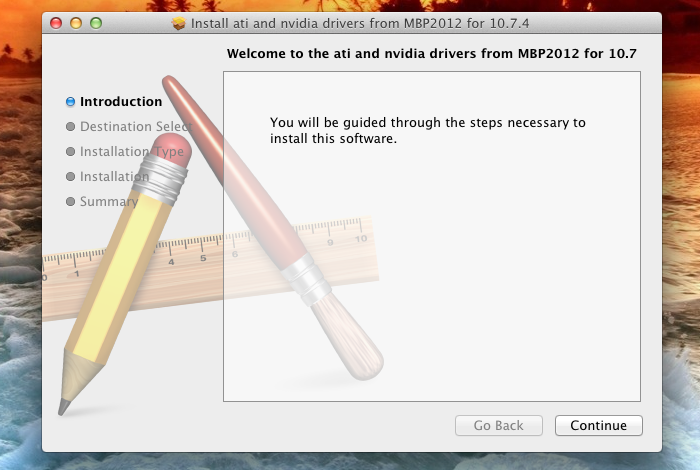 Mac OS X Mountain Lion will add support for NVIDIA's GTX 600 series and AMD's Radeon 6900 series of graphics cards. However, if you want support right now, it is now possible to enable full resolution and graphics acceleration for the NVIDIA GTX 670 in Mac OS X Lion, by following alfa's method. UPDATE (JULY 27, 2012): This method is outdated, since OS X Mountain Lion and Mac OS X Lion 10.7.5 have added native support for the NVIDIA 600 series. 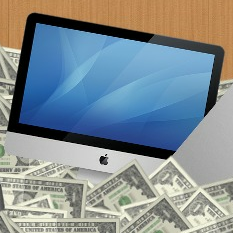 To follow this guide, you have to own a Hackintosh running Mac OS X Lion, with a NVIDIA GTX 670 graphics card. The method described in this guide involves installing graphics drivers taken from the recent software update for Apple's new Macbook Pro. In theory, this method should work with all graphics cards in the 600 series. However, it has only been tested for the GTX 670. It's recommended that you make a backup of your Hackintosh's hard drive before attempting this method, since you'll be changing a lot of important system files. The new graphics drivers for the GTX 600 series only work with Mac OS X Lion version 10.7.4, so update your Hackintosh to Mac OS X 10.7.4. 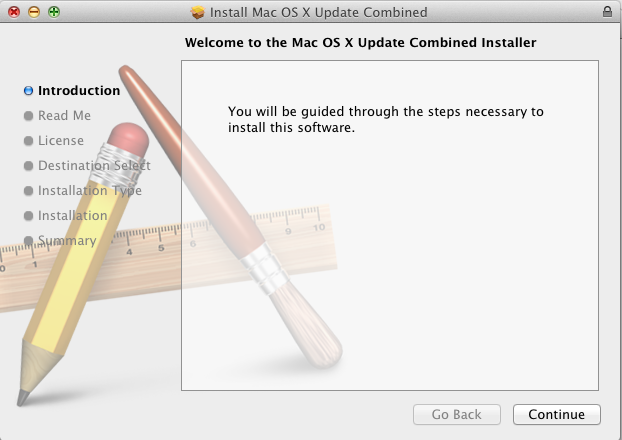 Check out the "Updates" step (Step 8) in our Mac OS X Lion installation guide for more information. 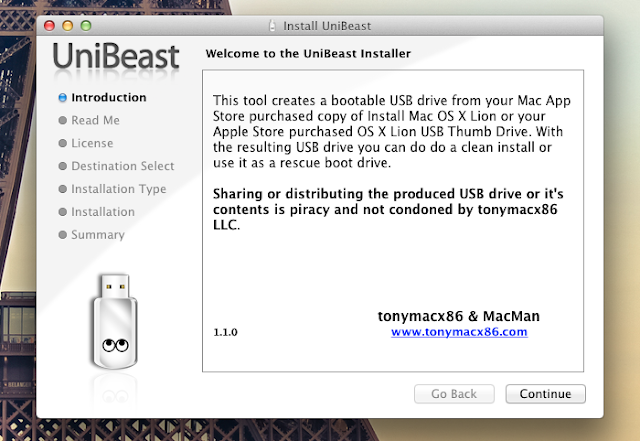 In addition to updating your actual Hackintosh, you have to create a Unibeast USB drive for Mac OS X 10.7.4 as well. You will need this Unibeast USB drive to reinstall some system files in Mac OS X Lion later on. 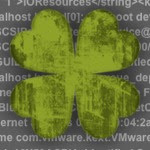 NOTE: Creating a Kakewalk or myHack USB drive instead of a Unibeast USB drive would also work. To work, Unibeast requires the Mac OS X Lion installer app from the Mac App Store. Unless you set up your Hackintosh very recently, your copy of the Mac OS X Lion installer will probably be older than version 10.7.4, so you'll have to update it. You can usually do this by opening the Mac App Store and going to the "Updates" section. 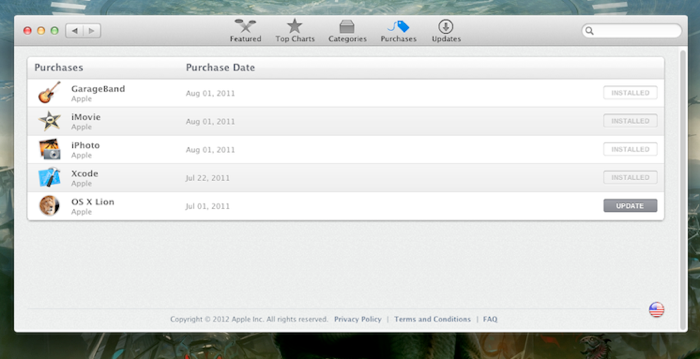 Once there, you'll see the option to update "OS X Lion". 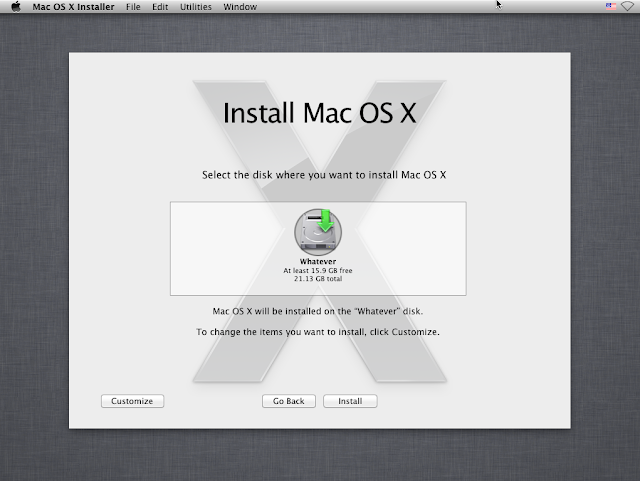 NOTE: If you don't see an option to update the Mac OS X Lion installer app, check out tonymacx86's workaround procedure. 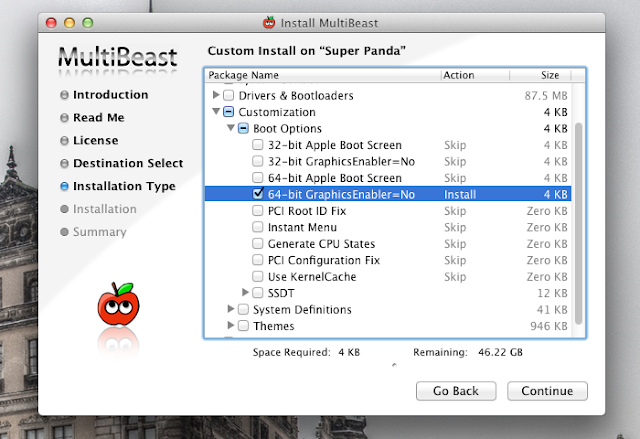 Once you have the newest version of the Lion installer app, run Unibeast. For more details, check out Step 1 and Step 2 of our Mac OS X Lion installation guide. Download the drivers that netkas has uploaded (it's a 130 MB download). These drivers will come in a .pkg installer file. After completing the download, run the .pkg installer to install the graphics drivers. Then reboot your Hackintosh. NOTE: Before rebooting, make sure to delete the kext file "NVClockX.kext" from /System/Library/Extensions in your mains hard drive. This is temperature monitoring kext for NVIDIA cards causes kernel panics for the new GTX 600 cards. Installing netkas' drivers will break your Hackintosh, and prevent you from getting past the login screen of Mac OS X. Now you'll need to use your Unibeast USB drive to fix this. Plug your Unibeast USB drive into your computer, and let the Unibeast boot screen come up. At the boot screen, select the Mac OS X Lion installer. Click through the installer prompts until you see the "Destination Select" page. Choose the hard drive that Mac OS X Lion is currently installed. NOTE: Do not erase your Mac OS X Lion hard drive in Disk Utility beforehand! You do not need to do a clean reinstall of Lion; we're just reinstalling Lion on top of your current hard drive's existing installation. Install Mac OS X Lion on top of your current hard drive. This will fix all of the files that the new graphics drivers broke. 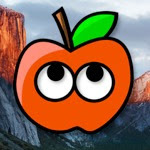 However, your Hackintosh will still be unable to boot by itself, since reinstalling Mac OS X Lion messes up your Hackintosh-specific kexts and drivers. Restart your Hackintosh. 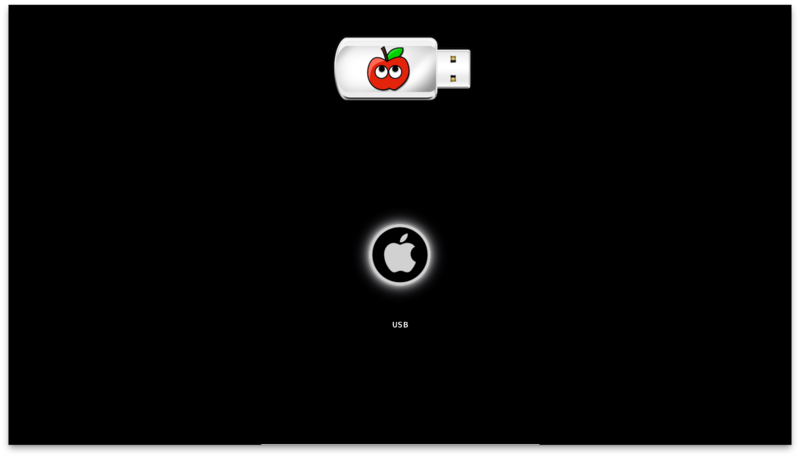 Keep your Unibeast USB drive plugged into your Hackintosh, select your hard drive from the Unibeast boot screen, and boot into Mac OS X. Once you have booted into Mac OS X, run the .pkg installer from netkas (again), to install the graphics drivers one more time. Do not reboot this time! The kexts and drivers in your Hackintosh are still messed up from reinstalling Mac OS X Lion. Instead, proceed to post-installation. 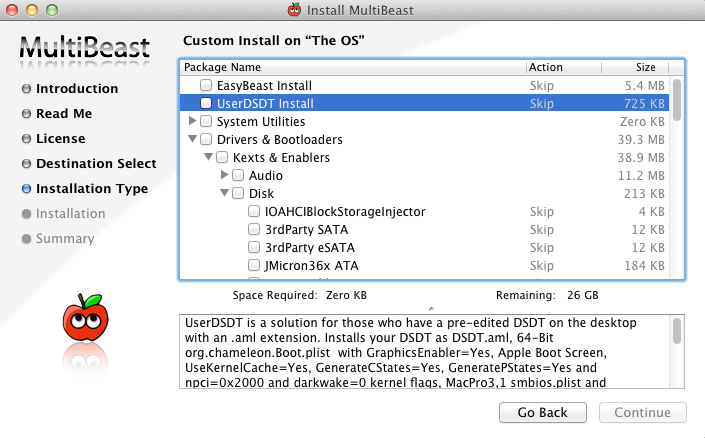 Reinstalling Mac OS X Lion will have removed all of your old Hackintosh-specific kexts and system files, so you'll have to reinstall all of those things with Multibeast. Download Multibeast from tonymacx86.com, if you haven't already (you have to register on tonymacx86 to view the download section). Open Multibeast, and select the appropriate options. For more details, check out the Multibeast step (Step 7) in our Mac OS X Lion installation guide. Once you've reinstalled all of the appropriate files for your Hackintosh, go on to the next step. The one catch to enabling the GTX 670 on Mac OS X Lion is that Graphics Enabler doesn't work. Graphics Enabler is a feature in Mac OS X that allows your Hackintosh to run games and other graphics-intensive programs. However, the GTX 600 series doesn't work with Graphics Enabler (yet), so you'll have to turn it off. This is very easy with Multibeast. Open Multibeast, and select "64-bit GraphicsEnabler=No". If your Hackintosh boots the 32-bit kernel, select "32-bit GraphicsEnabler=No" instead. If you don't know which kernel you're booting, then choose 64-bit (Mac OS X chooses 64-bit by default). Once you've turned off Graphics Enabler, reboot. Once you've rebooted, you should have full screen resolution and graphics acceleration on your Hackintosh with the GTX 670. Congratulations. However, remember that Graphics Enabler is turned off. This means that you will not be able to play most video games. In addition, you won't be able to run DVD Player, Geekbench, or several other apps that require Graphics Enabler.